Afternoon tea is very serious business at the hotels in London. It is not just for tourist though and has retained popularity among the ‘ladies who lunch’ and many people from across England who have come for a couple of days. It’s not cheap by any means but it is an experience that you have to have when you are moving here. A number of the top hotels in London offer afternoon tea. It really is a sumptuous affair that takes you back to a more genteel time. It will also give you a small idea of how the gentry used to live and the traditions that have shaped a nation. 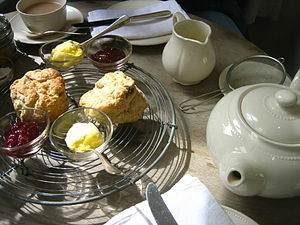 It is not just the tradition of afternoon tea that has played an important part in the spirit of England. Each country has its own traditions and ways of doing things that have become entrenched in society. Defining a nation as diverse as England and a city like London is difficult. There are over 300 foreign languages spoken in London alone. It is a city of immigrants and yet there is a sense of national pride in everyone who lives in London. Experiencing the grand tradition of an afternoon tea complete with cucumber sandwiches and smoked salmon on brown bread is just one facet of life. The best part of it all is that you will be able to experience it all after your relocation.